We found out about Bathtub Island quite by accident. 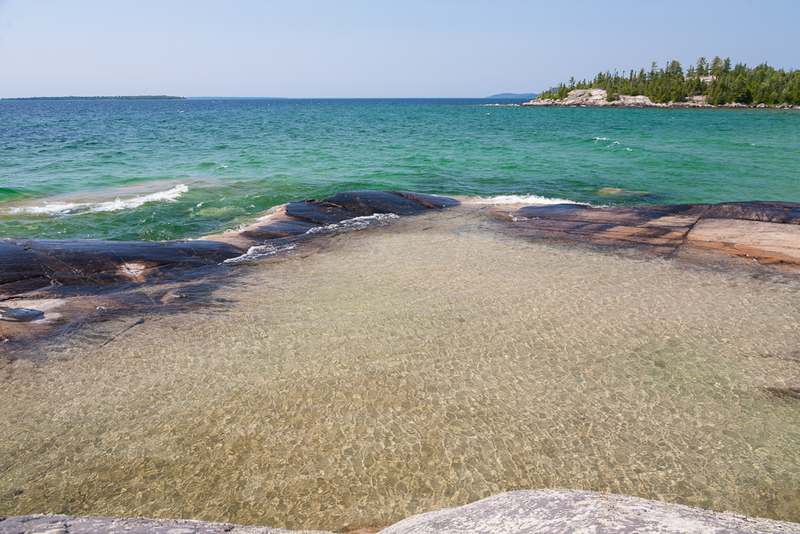 We were enjoying a break from the heat at the beach at Katherine Cove in Lake Superior Provincial Park when we struck up a conversation with a family from Sault Sainte Marie who were there for a day trip. They asked us if we had been to Bathtub Island, and when we replied no, offered to take us there – indicating that it was just a 15 minute walk from the beach at Katherine Cove. Our sociability and trust in strangers were rewarded with an introduction to a special place that we return to time and again. Bathtub Island is best accessed by parking at Katherine Cove and following the Coastal Trail south for about a 1/2 kilometre. Parking on the shoulder is discouraged for safety reasons, and “No Parking” signs were posted along the highway in 2018 near the entrance to a shortcut path to the beach opposite the island. Respecting the fragility of the dunes environment. Tread lightly and follow the worn path to the beach without developing your own way there. There are no toilets or garbage bins here. Practice backcountry etiquette by packing out whatever you bring in, including used toilet paper/tissues, and leaving no trace, other than your footprints in the sand. Adhering to park rules regarding camping, cans, bottles and fires which are are prohibited. Bathtub Island is aptly named because of a depression at one end of the island that collects water whenever the waves are whipped up high enough. You probably won’t be tempted to sit in this bathtub though, the water may have been sitting there for some time! Once you reach the beach, turn left and walk toward the point that is also the shortest between the beach and the island. As you approach the point, a sandbar will reveal itself to you and this will serve as your “bridge” to the island. 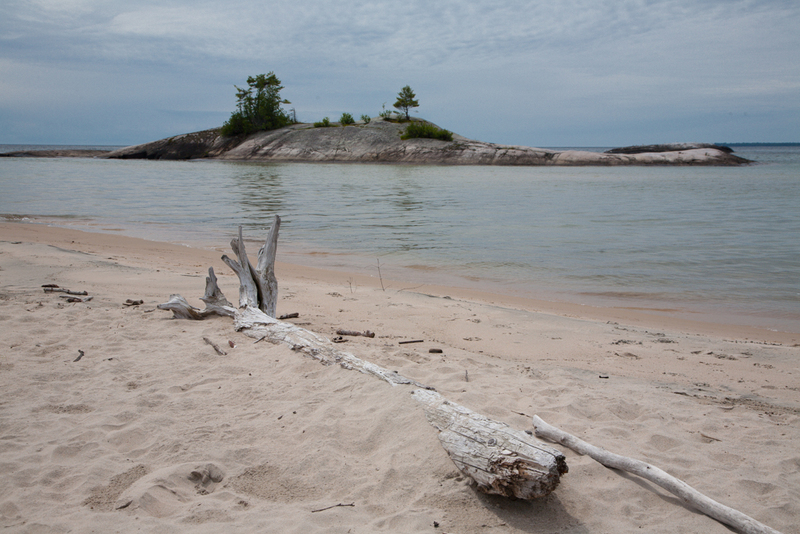 The sandbar won’t keep you dry though – expect to get your bottom wet so hang your camera equipment accordingly! Getting up onto the island is a little bit tricky as well – the smooth round rock, which may be wet, will require you to lean forward as you make your way up the embankment (only 3 feet or so). Once on the island, and if the weather conditions are right, you may be tempted to spend at least an hour on this tiny piece of land while you hop from one outcrop to the next, or explore the features of the rock, or simply decide to sunbathe.